We always enjoy a bumper crop of zucchini (or courgettes as we often say in England) from our allotment. We've experimented with various delicious ways to make great use of them over the years, and here are three you might like to try. I first came across this recipe in the River Cottage Baby and Toddler Cookbook, but don't be put off, all the recipes are designed to be enjoyed by the whole family. A tasty and original snack, starter or party food for adults, or a main course for little ones. My son loved these when he was one, so I always remember them. 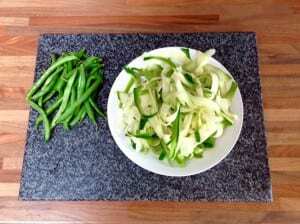 Begin by frying about 500g of finely diced courgettes in olive oil over a medium to high heat for 10 minutes. 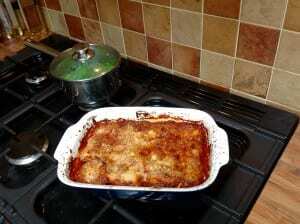 Allow to cool somewhat, before combining them with two tablespoons of grated hard Italian cheese (e.g. parmesan, pecorino or vegan alternative), half a diced ball of mozzarella, 50g of breadcrumbs, one beaten egg, one tablespoon of chopped parsley, a finely chopped clove of garlic and a dash of freshly ground black pepper. Roll small amounts into balls, about the size of a ping pong ball. Bake on a greased baking tray in a pre-heated oven at 200 degrees centrigrade (180 fan oven) for 15 minutes until a lovely golden brown. If freezing, do so when uncooked and defrost before baking. I'm always happy to eat aubergine parmigiana, and this is a take on that. I simply substitute with courgettes. It's a great and interesting accompaniment to a main dish, or one itself when eaten with a green salad and/or some crusty bread or brown rice. About 4-5 courgettes makes enough for four as a main, or 6-8 as a side. It freezes well. Make the tomato sauce by gently frying one onion and two finely chopped garlic cloves for a few minutes. Add a jar of passata with basil, together with a bayleaf and cook for 10 minutes. A glug of red wine doesn't go amiss. Taste and add salt, pepper and agave/sugar as desired. Grill or shallow fry thin slices of courgette until just beginning to colour. Grate about two handfuls of hard, Italian cheese such as parmesan, grana padano or pecorino (whichever you prefer, or a vegan option). Then layer. Tomato sauce then courgettes. Finish with the sauce and then sprinkle the cheese on top. Bake in the oven at 180 degrees for 40-45 minutes until bubbling and nicely coloured on top. Sometimes simplicity is the key to a great dish. For this delicious side, take a couple of medium sized courgettes. Use a wide vegetable peeler to make your ribbons. Heat your oil of preference (e.g. olive or groundnut) in a wok on a medium to high heat. Add one chopped clove of garlic and a splash or chilli oil or chopped fresh chilli. Stir for half a minute. Add courgette ribbons and stir fry for three to five minutes, tasting for flavour and texture. You can make this more substantial by first adding a teaspoon of curry powder (or mix your own spices) at the same time as the garlic and chilli. Then add a can of butter beans and stir just before adding the courgette ribbons. Same cooking time as above. Great either hot or cold. These ideas all involved cooked zucchini of course, but if you'd like to enjoy them raw, take a look at my recipe for crunchy quinoa salad. Bon appétit - buon appetito - Guten Appetit - enjoy! And if you have any other zucchini recipes, I'd love to know, so feel free to comment below and share.